Set in 1930s Paris, an orphan who lives in the walls of a train station is wrapped up in a mystery involving his late father and an automaton. 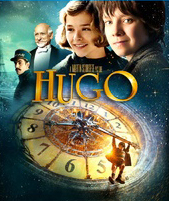 Hugo is a film about secrets and discoveries, forgotten pasts and hopeful futures. Those qualities reflect both the characters and the world of filmmaking itself. Director Martin Scorsese's Hugo lovingly embraces the medium of film in a way that's largely been lost through the years. His film plays as if a tribute to the history of and the possibilities inherent to the medium, the former, it sometimes seems, largely forgotten and the latter often sacrificed in the name of a quick buck in the world of today's cinema-as-big-business.